These spill control pallets have a higher profile then our modular spill pallets but also have more sump capacity.The other difference is that all of these pallets have forklift pockets and all except for the model A0801U have a drain plug which is not the case with all of the Inline Spill Pallets and Modular Secondary Spill Pallets. There are five 4 drum models here as well as one two drum model. All have different dimensions which are noted under "Description" below. 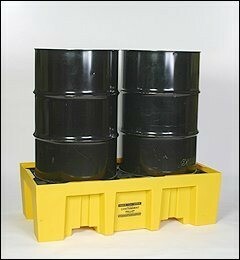 All of our drum spill pallets are pictured. Please note that the ramp and drums in the pictures are not included with the spill pallet. The ramp is sold separately below for certain models as noted. Select the model that works best for your needs. 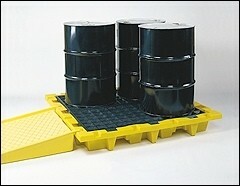 Made with tough polyethylene these spill control pallets are very durable and chemical resistant. The poly grates have 1.75" square openings for easy removal for cleaning. They have a 3/4" drain plug. Easily meets EPA requirements for secondary spill containment of hazardous materials. 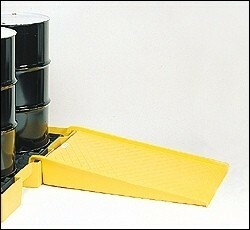 These spill control pallets are available for 2 or 4 drums only. 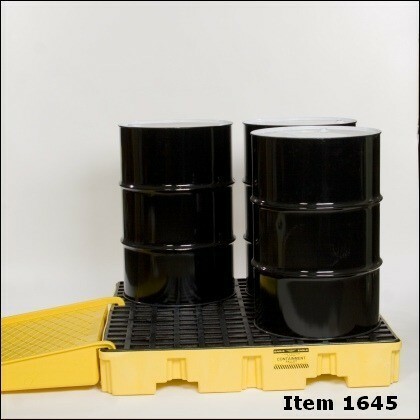 Drum storage and handling has never been safer with a new 4 drum spill pallet we have just added to our site. It has a 85 gallon containment sump and features a 4 drum removable deck using a forklift. The deck has 4-way forklift access. With the forkliftable deck you can replace or rotate drums in minutes. Uniformly distributed load capacity is 6500 pounds. See our 4 Drum Spill Control Pallet video here. For our High Density Polyethylene Chemical Resistance Guide click here. 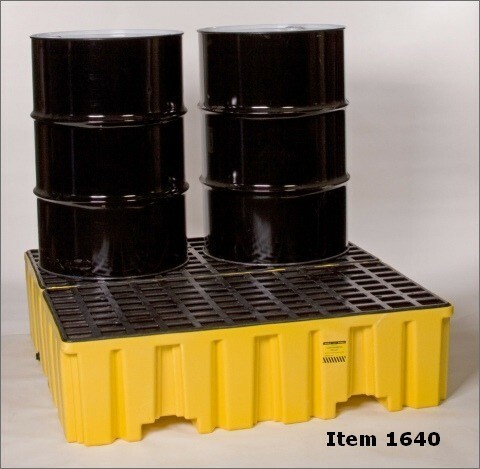 All of these pallets help you meet SPCC, EPA Container Storage Regulation 40 CFR 264.175 and UFC Spill Containment Regulations. See Federal Regulatory Compliance Summaries here. 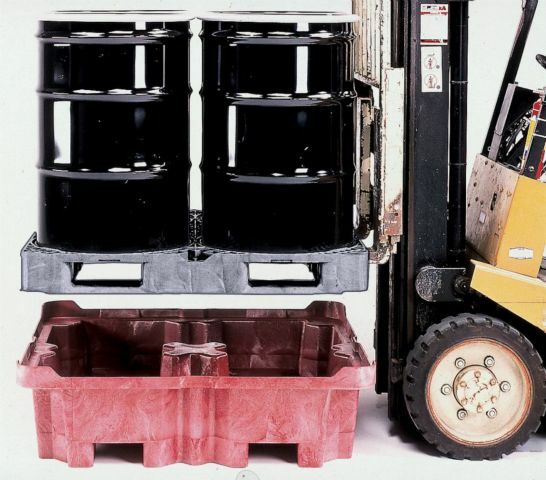 Dimensions, sump capacity, load capacity and weights for each pallet noted below in Description.